Disc sales down last year, but will 2009 be different? The Digital Entertainment Group recently announced some interesting statistics regarding the state of play of DVD. It found that for the second year running disc sales have continued to slump, decreasing by around 9 per cent in 2008. Compare this to a 3 per cent decline in 2007 and doesn't look great for disc-based media. Home entertainment sales as a whole were down 5.5 per cent. According to the DEG, Blu-ray disc sales were up four-fold but this still didn't stop the disc-buying downturn. Things are set to get better in 2009, however, with prices of BDs set to drop to around DVD levels and a continuation of consumers snapping up Blu-ray players and PlayStation 3s – which so far stands at around 10.7 million sold. 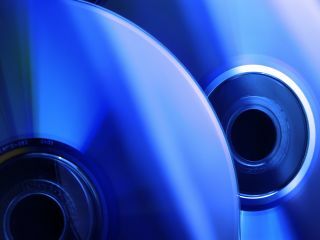 Just last week, we reported that the BDA is confident about the hi-def format insisting that increase of downloadable content will not harm Blu-rays chances of survival, and that in the same timeframe only half as many DVD players were sold. Despite what the BDA says, downloadable content is on the rise, with the likes of the Xbox 360, Amazon VoD and iTunes offering movies through the net. Couple this with the proliferation of the BBC's iPlayer and consumers are currently spoilt for choice with regards to how and where they get their visual entertainment from.